The Civil Engineering CE 260 “Surveying” instructor for the Fall of 2017 asked me to give a guest lecture and flight demonstration of UAVs for civil engineering applications. 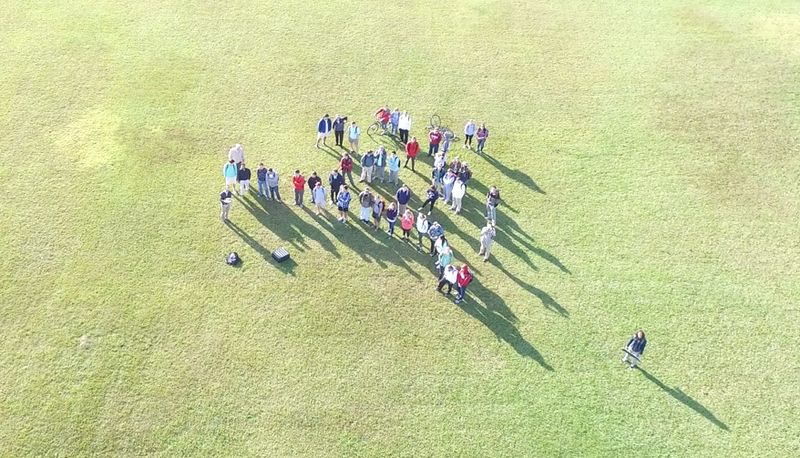 The class began with a short lecture (CE260-UAV) and then transitioned to Bryce Lawn for a demonstration flight over the University of Alabama’s old chapel building. My laboratory took the photos and created a 3D reconstruction of the building suitable for civil engineering analysis. We concluded with an aerial class photo. Thank you to the CE 260 class and the Civil Engineering department, especially Profs. Graettinger and Stogner. For reference, the full raw flight video is here. The careful viewer should note that this flight was conducted in accordance with FAA regulations and University of Alabama requirements. Please don’t replicate this flight without first talking to UA compliance, UA Grounds, and the Tuscaloosa ATC tower. Aircraft Dutch Roll with No Dihedral?